Some users are loyal to Internet Explorer, some swear by Firefox and others claim that Chrome surpasses all of them. 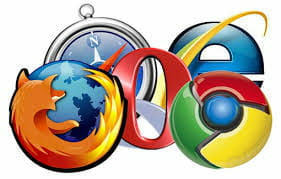 There are many other browsers on the net. Edit: Google chrome became sluggish, didn't support some video content and YouTube videos froze when going to full screen. Tried Safari, which I didn't liked, before ending up with Firefox. I used to exclusively use Internet Explorer, but I got tired of their updates which added categories and ads to my favorites. Firefox is now working best and user friendly. I love my Firefox! Very friendly with all kinds add-ons. Google chrome became sluggish, didn't support some video content and YouTube videos froze when going to full screen. I'm a happy Firefox user now. Safari has improved to the point where it's displaced Chrome as my favorite browser.